Have you looked at your carpets and rugs recently and felt that they are ruining the décor of the house? Even if you make everything else spotless and sparkling, the carpets always seem to let you down in front of special guests. And no matter how hard you try to make it better the dirt just won’t budge. It may sound hard to believe but now carpet cleaning is easier than you can imagine. With TruRinse, the best residential carpet cleaning company, you can get monumental results in a matter of minutes. So if you want to get the best looking carpets and rugs that match with your spectacular house you’re in luck. Carpet cleaning has never been easier. Unlike other carpet cleaning companies TruRinse does not believe in using soaps and chemicals. These chemicals, although can provide a certain degree of cleanliness, have no place interacting with your carpet. They may cause allergic reactions and recently it has been found out that soaps actually attract dirt molecules in the carpet making it liable to cleaning more often than normal. These traditional methods are outdated and do not belong in your house. With TruRinse services you get to experience new age methods that leave your carpet good as store bought. What makes it better than other methods is the special mix of rinsing that utilizes high temperatures. This deadly combination makes it an easy job for us to takeout all he dirt and stains from inside your carpet. The water is at 230° when it leaves our vans, and when it gets to your carpet it is at 210°, the high temperature is what makes our rinsing mechanism so effective and fast. Unlike other companies our focus is on the temperature, because it is a part of our mechanism which works. Another factor which increases the ease of cleaning is that while cleaning stains we do not use spreading methods, our direct rinsing makes it easier to remove stains without much ado. Sometimes dealing with cleaners can be hard as you try to explain what you want cleaned and where the stains are. We at TruRinse have been in the business for many years and we know your problems better than you know them yourself. Our dedicated work staff is always ready to explain to you the process and mechanism on site, with care and consideration we treat your belonging like they were our own. This level of commitment to the cause is what makes our services so special and makes cleaning of your carpets so hassle free. The majority of our customers are return customers that means that people recognize the work we do and want us to continue doing it. This is just an example of the people think about our work. 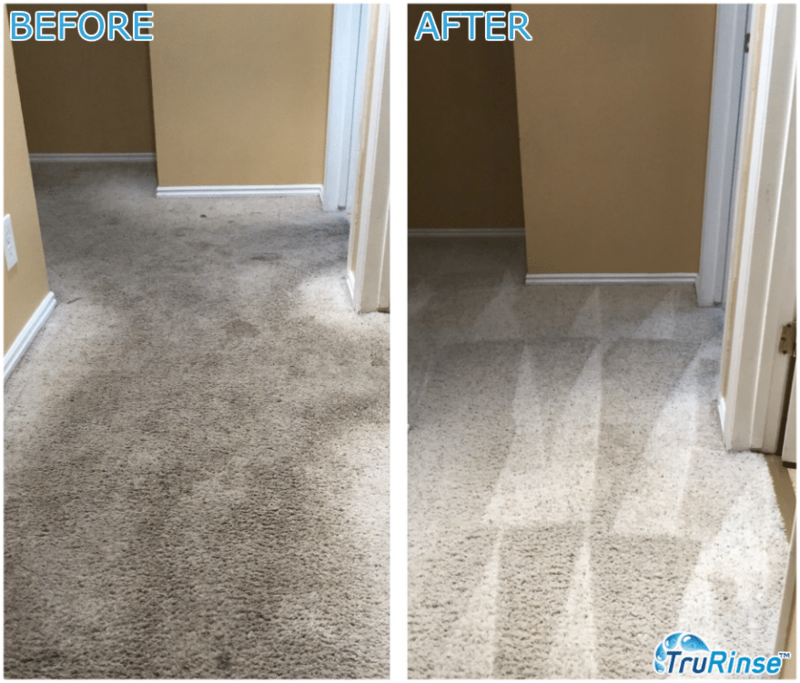 With state of the art machines and new age techniques, TruRinse offers the best residential carpet cleaning in Utah. Once you come on board with us, we guarantee you’ll never want to leave.